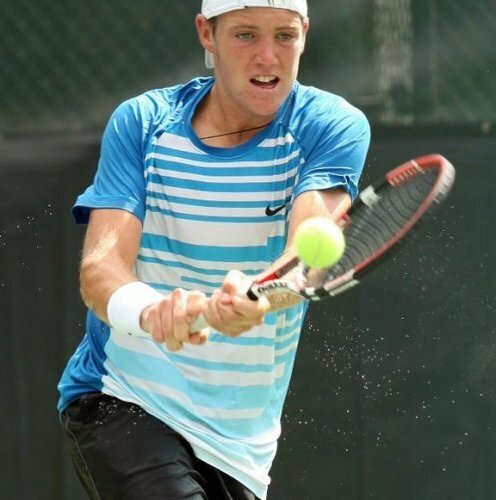 NEW YORK, N.Y.—Wimbledon doubles champions Vasek Pospisil of Vancouver and Jack Sock of the United States both overcame injury to reach the second round of the U.S. Open Thursday with a 6-4, 6-4 defeat of Jarkko Nieminen and Henri Kontinen. Pospisil had been bothered by a shoulder injury during a singles loss to Simone Bolelli this week while Sock had to quit in his first-round singles with a calf injury and cramping. Pospisil didn’t even know his partner was hurt until after Sock’s singles loss. As for his shoulder, Pospisil said it’s improving every day. The eighth seeds both played without apparent problems as they completed their efficient victory in 70 minutes. The winners broke twice from 11 chances and never faced a break point from the Finnish Davis Cup team. Pospisil and Sock lost their previous match, the Western & Southern Open final in Cincinnati, to Bob and Mike Bryan. That ended an ATP-record run of 14 straight wins as a new team, beginning with their start together at Wimbledon in June. The pair, which remain first and foremost dedicated to singles, are also working to reach the ATP year-end finals in London next November as a doubles team. “We are both singles players, we’re fully focused on singles, ” Pospisil said. “But having a chance to reach London changes things. Melanie Oudin (born September 23, 1991 in Marietta, Georgia, United States) is an American tennis player and former world junior no. 2. Her current career ranking is world no. 208, as of June 11, 2012. She won the mixed doubles title at the US Open in 2011 with fellow American Jack Sock.